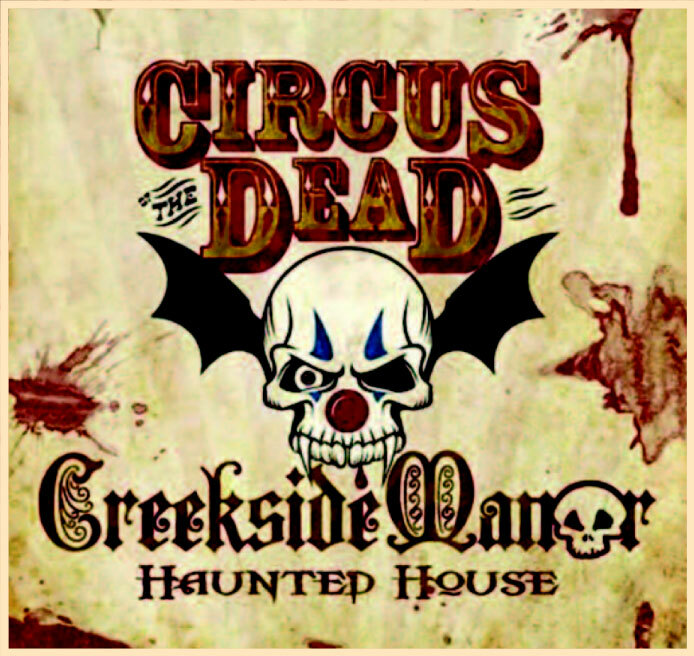 The Story of "The Creekside Manor Haunted House" - Williamsport, Maryland"
These forces couldn't be coming from the old nursery. Mable had boarded up the twins room after the night of the fire and the disappearance of Horrificus years ago. As far as she knew no one had been in that room since. These powers were definitely coming from family members. These powers were stronger than Victoria's. Mable and Victoria could barely tolerate each other. They couldn't be in the same room together without screaming and hollering at each other. Mabel was always jealous of her younger prettier "sister". Mable always had the upper hand over Victoria. She had more power. Mable thought, something's about to happen. But she had no time for this now. There was a funeral with a viewing the entire month of October in her living room. Victoria, who is Mabel's younger and prettier sister, is missing from Creekside Manor this Halloween. It is rumored that she ran off and got married; which has infuriated Mabel. Guests have reported seeing Victoria outside the Inn. If you do encounter Victoria please don't tell Mabel! Who knows what other guests you will encounter as you tour Mabel's home. It has been said that the myriad of ghosts of Mabel's late husband's lurk around every corner. Cook is as busy as usual; always stirring a pot of Mabel's famous BBQ. You may notice her after you leave the library of Creekside on your way through the family graveyard. As you pass by her you might hear cook say "it's not pork BBQ dear it's just BBQ" "Try some I'm sure you'll like it"
There is always a waiting line to get in to see Dr Sausage and Nurse Holly in the ER. Unfortunately, for guests and visitors you are required to be examined by Nurse Holly as you depart Creekside Manor. The only way around this exam is having Nurse Holly pronounce you "DOA" as you enter the building; which makes butcher a happy man. The meat locker is cold and full of cooling meat. Let us hope you don't encounter Butcher, zombies, or the family pet while in Mabel's cellar. There has not been a lack of patronage at the Creekside Manor funeral parlor. In fact, If "living" family members were to check the ashes, in the urns they retrieve, they would find the ashes look identical to those piled high in Cooks fire. Butcher has taken care of these bodies in his own way. Carpenter builds coffins around the clock. If you were to look inside the coffins as they are loaded into the hearse you might find them filled with rocks retrieved from the Conococheague creek. The Butcher has disposed of these bodies too. Interestingly enough, Mabel's BBQ business continues to grow. Mabel slammed the basement door in disgust. She exclaimed "These dreadful creatures are ruining my life". When she had agreed to take in the circus for the winter she had not planned on the freaks taking over the basement of her home. She had not expected them to stay through spring and summer and now well into the fall. She had not expected them to breed and multiply as quickly as they had done. Their numbers had greatly increased over the past year. Looking as if they have no plans of moving along anytime soon she would have to figure a way to feed the nasty little creatures through another long winter. Keeping them fed would be her only way to keep these awful freaks from invading her own living quarters expecting to dine with Mabel and her family. This must never be allowed as these freaks are in no way in the same social class as the Mockenburry's. They must be kept in their place. She paused briefly at her parents headstones as she looked down at her parents grave she exclaimed in a shrill voice. "mother what am I to do"
It's perfect she thought Mabel's most recent husband is a medical doctor. Dr Mangle and his assistant Nurse Holly could keep butcher in plenty of body parts and corpses this winter. According to the local police department, the sheriff and his deputy have investigated the house many times with no proof of any wrong doings. Sheriff Palmer says, “The problem is that there has never been a single indication that a murder or any foul play has taken place in Creekside Manor. No blood, no bodies, no body parts.” Deputy King added, “That’s right. 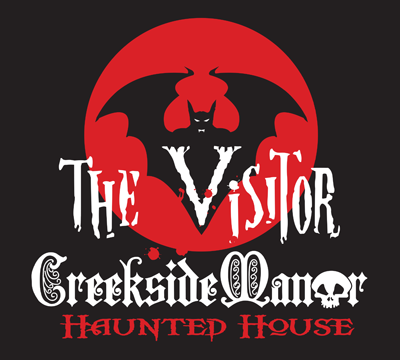 No clothing and no DNA evidence that the missing persons ever stepped foot in the house.” On the other hand Dr. Cabasa, the nationally known Vampire Killer and Ghost Hunter, says there is no doubt in his mind that Creekside Manor is haunted. He’ll tell anyone that will listen, “The law enforcement in this town is pitiful at best." You see, Mabel recently became a grandmother. Her beloved Precious gave birth to a baby boy - Mabel’s very first grandchild. What should be a happy time in her life is just one long, never-ending worry that has her pacing back and forth like a caged lion. “A baby…a baby what? !” is all she can think of. If only Precious hadn’t married a wolf. A wolf baby with wolf powers and possibly some of Mabel’s powers – yikes! What will that make him? How can she possibly control him? Sure, Hattie the Nanny controlled Horrificus...but then there was that awful fire in the nursery. Mabel will have to hire someone more professional…maybe even a Governess. No, what she needs is a prison guard for THAT awful little monster! He’s mean. He bites. He’s little, but fast. He can hide anywhere. One minute he’s in front of you, then he’s behind you biting at your ankles and next thing you know - biting your neck or face! But beware as you tour the Manor House and grounds, as you will likely encounter some of its curiously strange inhabitants. There’s Victoria, Mabel’s younger and much prettier sister, who will greet you at the door and direct you to the 13th floor. Then there’s Sir Stephen, who will be tending the bar. He knows everything that goes on within these walls – so be sure to heed his warnings! Who knows, you might even bump into Hattie if she decides come back from the dead to apply for the nanny position. Or, you might just meet the lady herself. Oh, and don’t be alarmed at the Zombies in the graveyard - they are only there to keep the wolves at bay. Finally, it’s not advised to enter the basement - unless you are absolutely certain that you want to try your hand at controlling the baby monster child. Actually, unless you are serious about doing this – you shouldn’t have stepped foot on these grounds to begin with. These disturbingly haunted grounds. Now that you’re here though, there’s only one thing to do – wish you luck. Lots of luck. Of course, the holidays don’t bring comfort and joy to everyone. Frederick, the inn-keep, is grumpier than ever. Holidays and anyone or anything that is happy makes him miserable. So, for goodness sake - don’t wish him “Happy Holidays” because you’ll only make him mad. And wouldn’t you know it, Precious had disappeared for days - after promising Mable she’d help with the decorations. Mable had specifically asked her to help put up the boxes of colored lights and decorations from the twins playroom down in the cellar. Would Precious be foolish enough to venture down to the wolves domain by herself in search of these boxes? Did she leave on her own accord, or was she taken by someone - or something? Is it possible that Mable set a trap for Precious as punishment for marrying a werewolf and bringing these new horrors to their home? Sir Stephen was kind enough to get out and polish Mable’s fine china for the upcoming events. Although…if you look closely, there’s a scratch on his neck - or is that a wolf’s claw mark? Oh boy, if it’s a claw mark then you’d better stay away from him or beware! It’s so confusing to Mable because this is all happening at the same time she hears the laughter of children from the play room in the cellar. Have her twins returned for the holidays? Or…wait, yes this is confusing still - the laughter sounds something other than human…maybe wolf like? It has been a year now since the Wedding of the Century, at least what would be considered the wedding of the century at Creekside Manor. It was a hair raising ceremony as Precious Mockenburry wed "Felton" a mysterious man, who very little is known about still to this day. Since that blessed but curious event something has changed at Creekside Manor, and not for the better. Thankfully Mable and her sister Victoria have managed to cheat death once again and have returned to undertake the daunting task of reclaiming some kind of control over the Inn, the spirits that remain, and the souls that visit. The people in the house are now struggling with something or someone and it's easy to sense that there are two very distinct and intense forces at work here. Neither is willing to relinquish their power to the other, leaving the house eerily divided. Once you enter these doors there appears to be no way out. Frederick the Inn keep will see to that. You will be quickly ushered into a rickety old elevator that transports you to another floor, to the place where Mable and her sister Victoria remain ever vigilant. What other miserable spirits will you find trapped here in this purgatory...? Butcher is busy doing what he does best. Could it be not just the twins he's feeding, but some darker and more dangerous force lurking inside that needs to be pacified...? Mable and Victoria's spirirts are often seen in the bar talking to Sir Stephen. Could he have a clue to the mysterious presence that is trying to take over this house...? Precious is in her bedroom sobbing in misery over the dreadful mistake she has made. Does she remain there on her own accord or is someone keeping her there against her will...? As you pass through the library be assured that all eyes in the house are upon you, watching nervously to see if you bring additional threats to the house that's so close to reaching its breaking point. Mad Myrle and his fellow grave diggers are protecting the boundries of the graveyard. Their heightened sense of alert and dread are palpable. 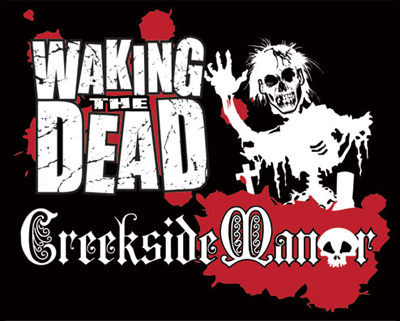 Will they let you leave the graveyard untouched or will Mad Myrle make you enter the cellar doors to Creekside...? Perhaps you'll find refuge with Guts, if he has a clue as to what Mabel is hiding in the dark dank spaces ahead of you. Hmmmmm, are the Twins still here...? Last year Mable passed her powers to her daughter Precious, Or did she? It's rumored that Mable's lovely voice has been heard singing in the hallways of Creekside Manor. Have she and other family members returned to witness Precious saying her wedding vows? After all once married Precious would become as powerful and as evil as Mable once was. It's said that weddings bring out the best in families, it also brings out the worst in families. Especially in this evil family. What spirits and ghosts must Precious and Mable have conjured up this time. Stroll through Mable’s parlor where the ceremony will take place. You can almost hear Mable singing "I Love You Truly". Mad Myrle from Earl and his friends will see you through the grave yard. Don't step on any freshly dug graves as you pass. It makes Mad Myrle Madder. Everyone, family, friends, law officials, and the public have been lining up outside Creekside Manor in 2009 to say their "final good-bye" to Mable and Victoria who lie in their coffins in the Grave Yard at Creekside Manor. One coffin with Victoria's body inside placed along side the freshly dug grave ready to be lowered into the ground. The coffin that contains the body of Mable Mockenburry still inside the Cadillac Hearse awaiting it's final destination in the cemetery. Mad Merle the grave yards caretaker is trying to maintain some control over the large crowds of people passing by. A 13th floor? 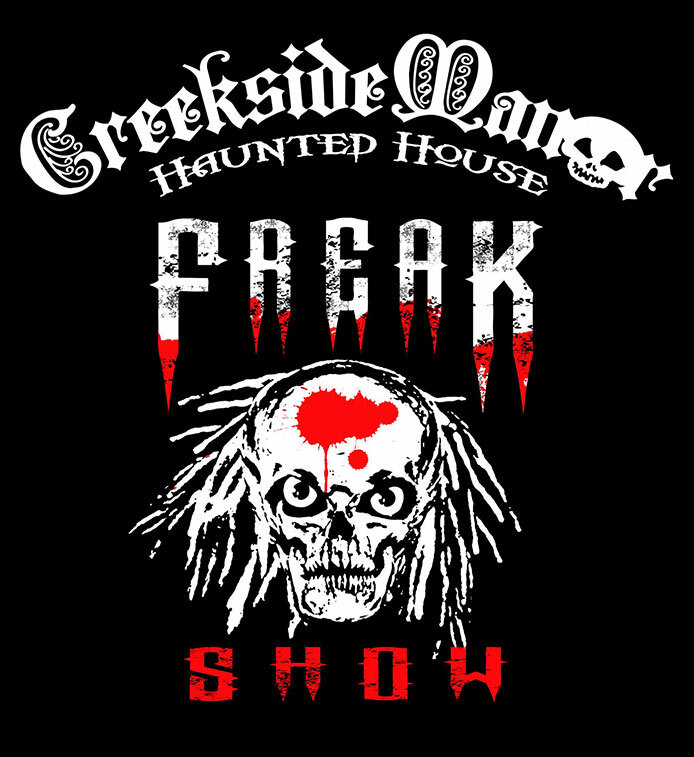 Was there ever a "13th" floor in Creekside Manor? The house certainly doesn't look as though it would have 13 floors. 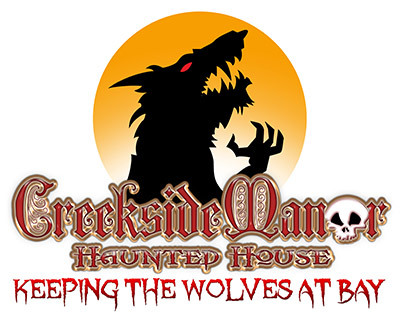 Patrons who Visit to the house this fall (there have been over 1700 of you to date) are met by a former husband of Mable's turned sinister inn keeper named Frederick. Frederick insists guests board an elevator and travel to their rooms on the thirteenth floor, an elevator that has not worked in over 50 years. When guests arrive at this "13th floor" they are met by "Gorgeous George" Another of Mable's husbands. A man who must have thought highly of himself in life. Refusing to admit his age he wears pounds of makeup to hide the fact that he is not only old but VERY DEAD. The Butcher is hard at work preparing food for guest dinner. Or... is he preparing guests for dinner? Strange, it looks as though those are human body parts on the table. Does cannibalism remain in this house after the mistress of cannibalism lies stone cold in her coffin? On this supposedly 13th floor guest have reported visiting a bar where Sir Stephen the bar keep tells guest they must "take care of certain matters at home" Then invites them to attend the farewell party for the sinister sisters in the basement. Some have reported seeing the ghost of Mable and one of her husbands in this room. Hattie the Headless Nanny has been reported being seen hiding in a closet inside the bedroom of Precious. The infamous Nanny who would cut off the heads of anyone who tried to harm Mable's disturbed twins. Has Hattie the Nanny returned from the dead? If so why is she in Precious's bedroom? Who would want Hattie to return from the dead? There would only be a few possibilities. Precious, Mable's beloved daughter wasn't fond of Hattie. Mad Merle had an affair with Hattie over 100 years ago, he was married to Mable at the time. Merle is rumored to be the father of Precious. Merle was madly in love with Hattie, maybe he would want to bring Hattie back from the dead. It would take someone with Mable's powers to summon Hattie back from the dead. Had Mable been able to transfer her powers to someone in Creekside Manor before she passed? Who would Mable trust with those powers? You’ve heard of the old saying “A face only a mother could love”. Nothing could have been truer of Mabel’s first born sons. Twin's, kept out of the eyes of the public, they were seen only by the eyes of Mabel, Victoria, Richard and Hattie the twins nanny. Kept hidden in the cellar for years, not allowed to play outside the home as normal children do. They must have grown up to be very strange indeed. Was Mabel’s family ashamed that Mabel had children out of wedlock or were they ashamed of the children themselves? There has been another bloody murder at 11737 Snug Harbor Lane, the old manor house that sits along the Conocochegue Creek. "The scene is gruesome" Sheriff Palmer told reporters. He went on to say "This is not unlike other murders that have occurred in this house. The ones in 1951, 1973, 1989 and now this one in 2003. All have this in common, a stormy night followed by an entire family destroyed in what must have been a night of terror." The property has had a disturbing past dating back to the early 1800's. Once operated as an Inn along the dirt road to Clear Spring. Creekside Manor was a frequent stop over for Wagons traveling west out of Williamsport. Travelers last seen headed down Kemps Mill Road would be reported as never reaching their destination. Had they been swallowed up the flooding Conocochegue creek or had they stayed at Creekside Manor? The Manor house was built by Dr. Bowers in the late 1700's. Dr. Bowers made his fortune traveling the North east, from Boston, to New York, Philadelphia and Baltimore selling lotions and potions for most ailments at the time. His comical side show was popular and always drew a good crowd throughout the summer months. He built the Manor house with it's many bedrooms to house his traveling medicine show, which consisted of 2 actors 2 actresses and 3 clowns during the winter months. Dr. Bowers and his show returned one October just before a terrible storm that flooded the Conocochegue for 3 days. When the water receded enough to get down Kemps Mill Road it took days to remove the debris from the road. Among the debris found was Dr. Bowers wagons and several clown costumes. Hadn't they made it to the manor that night? The longest occupant of the Manor was Mable Mockenburry, who loved it there. Mable was born there, she also died there. As a young child she loved to play on the strange looking rock pile in back of the house. Mables parents died when she was 15 leaving her to run the Manor and raise her younger brother Richard. When her parents died Mable held the wake and funeral in her living room and buried them right on the property, not uncommon during the 1800s. What was uncommon was Mables parents deaths really didn't seem to bother her. She almost seemed delighted to show them off in their open coffins, where only the heads of her parents could be seen. Mable quickly went about the business of running the Inn. Since the funeral of her parents, she became known for her BBQ dinners. Neighbors and family members who attended the funeral commented on how delicious her pork BBQ was. Mable would only comment "it's not Pork BBQ dear, it's just plain BBQ."